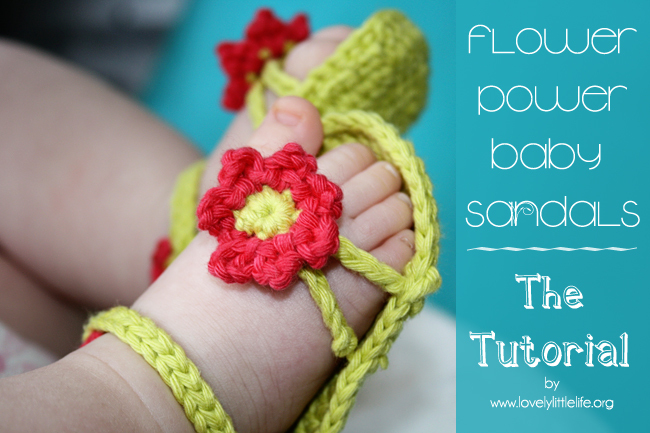 Flower Power Baby Sandals – the tutorial!!! I know some of you have waited the best part of a year for this tutorial. I hope it’s worth the wait! 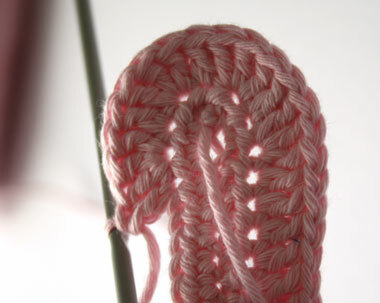 I have made a few little improvements to the pattern which I have now reflected in the original post (I will be leaving the written pattern post up for those who don’t require the photo tutorial). This makes one pair of sandals sized 0-6 months, approx. 11cm from toe to heel. 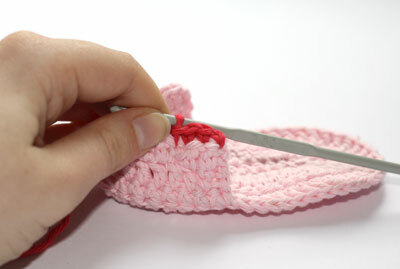 The pattern beginning to end makes one sandal, so work it through twice for the pair! Using first colour, make initial 14ch. 2htr in next ch (where the needle is above), 1htr in next 5ch, 1dc in each of the next 5ch, 2dc in last ch. R4: RS facing, from centre tr (shown above by the needle) count 9sts to the right, around the edge towards the middle (shown above by the hook). Fasten Off. Darn in any tail ends. Using the first colour yarn chain 20, ss into 7th ch from hook(see above), ss in each ch to the end. Fasten Off. Leave long tails for sewing. 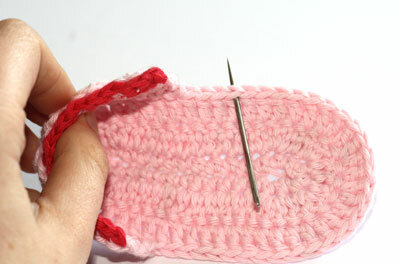 Sew strap to one edge of the heel, sew to opposite side on second sandal. R1: Using first yarn make a magic circle, 2ch, 6dc into magic circle. 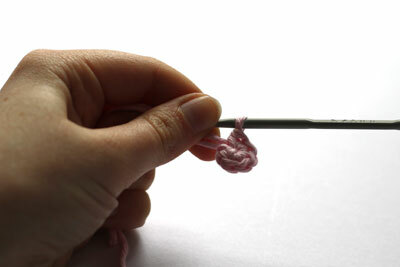 Pull circle tightly closed and leave a long tail for sewing. R2: Join second colour, 4ch, ss in same st, *ss in next st, 4ch, ss in same st*; repeat between ** 4 more times, ss in next st, 4ch, ss into first ch to close the round. Fasten Off. 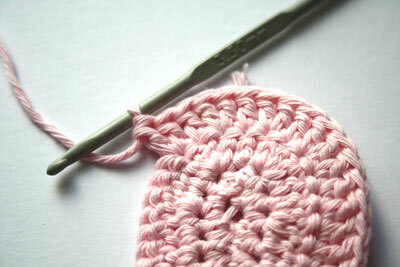 Using first yarn colour, make 15ch. Fasten off. Repeat to make two (per sandal!). Using the long tail sew the flower, very securely, on to the centre of the toe straps. sew one end of the first strap here and in the same place on the opposite side. Count a further 5sts and sew the second strap here on both sides. Almost there now! 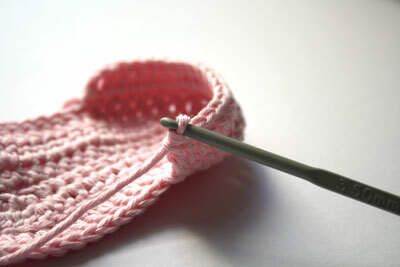 All we need is to sew a small button on to the other side of the heel. Phew! That was quite a long one wasn’t it…. If you’ve made it this far I really hope I’ve covered everything and you’ve found this helpful 🙂 If I have missed something or made an error in there somewhere please leave me a comment and I will try to help! Edited to add: I’m often asked about increasing the size of these sandals. As yet I have not tried to make them any bigger so I can’t personally vouch or give any guaranteed guidance. 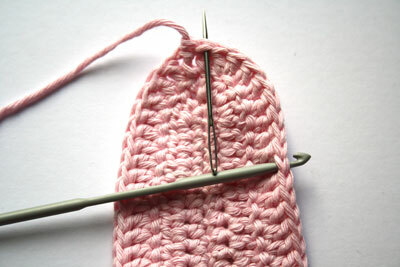 However using a bigger hook size or perhaps an even thicker yarn will of course increase the overall size. Properly increasing the pattern size is on my to do list though I promise! Lovely job!! I think that is one of the clearest tutes I have seen 🙂 (I think I will still let you do the needlework, though– you do such a beautiful job!! ) NIxie loves her sandals, though I am anxiously awaiting the next size up– her feet seem to be growing faster than any other part right now. I was wondering how to make this pattern in a 6 to 9 month. 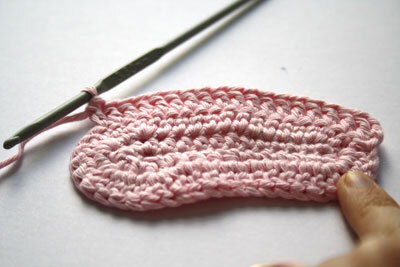 I am teaching myself how to crotchet and not quite sure how to do this. Thanks in advance. I am beginning to really dislike this flower. I made 5 and its just not turning out right. Really?! I’m sorry about that, 11cm is the average heel-to-toe length of shoes for up to 6months in the UK so that’s what I based the size on. I just made a pair last night! They are so cute! The pattern was very easy to read and I was able to successfully complete the project! 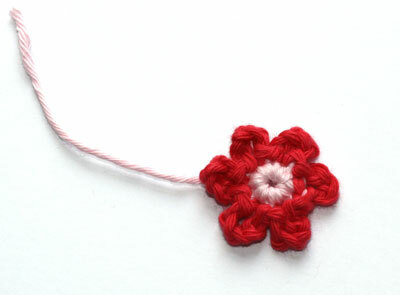 I am a beginner crocheter as well so I am especially pleases with myself! 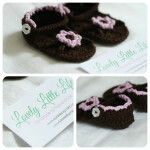 Thank you so much for providing the pattern, can’t wait to put them on my daughter! Do you have more patterns available? Just finished making a pair.. Omg too adorable!.. Thx a bunch for the pattern! I would love to order a pair for my, will be born, daugter. Can I choose colors? I live in the Netherlands, if that ain’t a problem. I LOVE THESE SANDALS!!! I just finished making my first shoe and it is soooo cute!!! Thank you so much for going into such great lengths to make sure it is easily understood!!! I LOVE these! 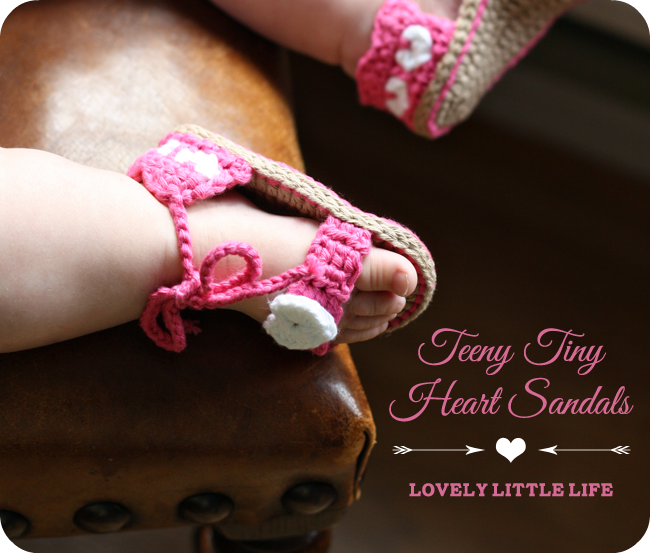 So darling!In regards to increasing size, For the soles, I used a size 5.50 mm Hook (US) and used a doubled strand of yarn (basic red heart). 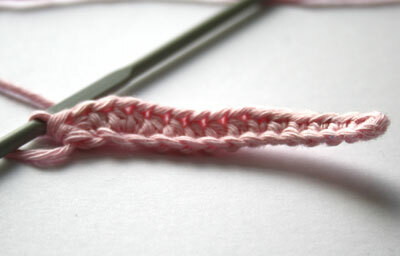 Started with a chain of 12 instead of 14 and just reduced all the stitch lengths by 1. ( ex: where it says 1htc for the next 5, I only stitched 1htc for the next 4) And for the last round I used the htc stitch as the tc made it too wide and big for my daughters size, but would work fine if you needed them that much larger.They fit my nearly 3 old well,she wears an infant size 7.5. For the straps and backing you just adjust to your child’s needs. I hope this helps!!! 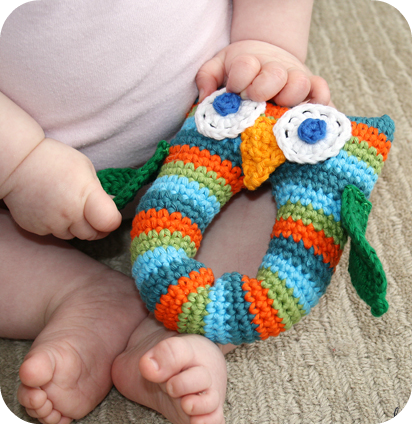 Thanks for sharing this adorable pattern!!! 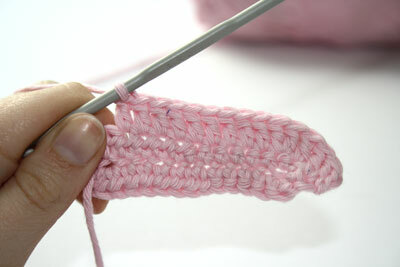 Hi, I love the pattern and hope to make it soon. I have one question though. What is a magic circle? I haven’t heard this term before. Thank you so much. Sensacional… Muito bom seu trabalho. Parabéns querida, e, obrigada por compartilhar conosco essa maravilha. Deus abençoe você..! 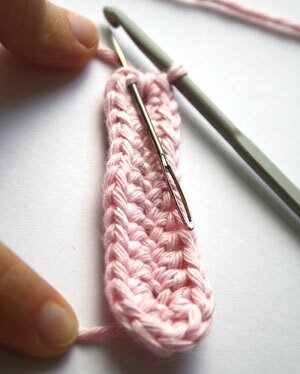 My friend having her first baby girl and really really want to make one for her as gift. can you tell me or help me out? how to make this one? i really appriciate! This is so adorable! I am attempting to make for my 4 month old niece(who is basically the size of a 6 month) and I’m having trouble getting the size to be small enough. 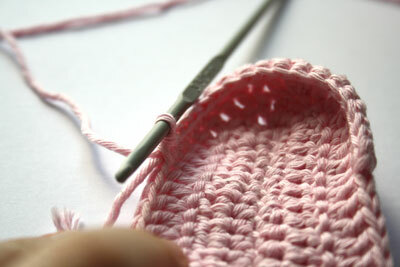 I am using a 3.5mm hook and can only think that the yarn is too big? Do you pull your loops really tight in this or do you keep them loose? Any suggestions? Just found this. So, SO, SOOOO darling. 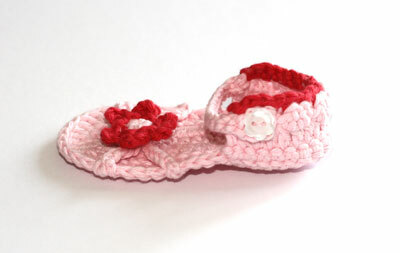 I don’t know any little girlies in need of sandals at the moment but may have to make a pair or two just to have ready for gifting when the time comes. Thank you for sharing! I am a really confused on the beginning of making the flower. 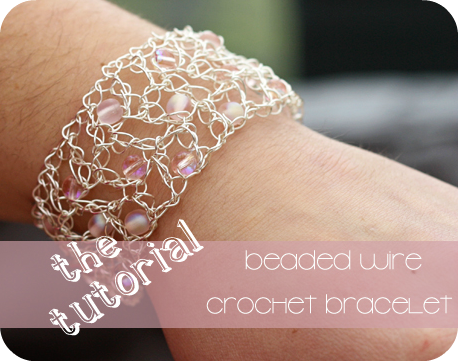 I don’t understand what you mean by make a magic circle chain 2 dc 6… thank you so much for the free pattern! I am not quite finished with one, but I will be making some of these. 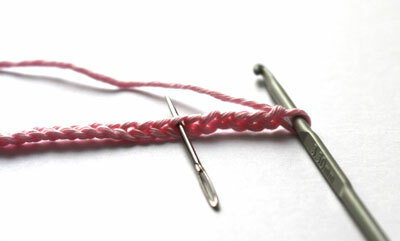 It is simply but since I am left handed so I had to do the Tutorial and it was easy to follow. (EVERYTHING is backwards for a Lefty. LOL) I used an E hook and Caron Simply Soft. It is larger than I thought it would be, so I will drop it to a D hook. I am looking forward to finish the pair. Thanks so much for the free pattern. 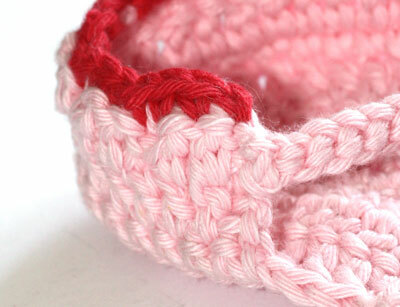 I am on a “fixed” income, so I depend on free patterns to make my baby gifts. 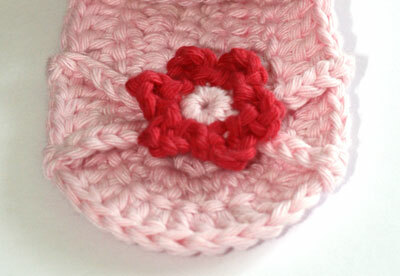 I am also planning on making four pair to put up for my grandchildren when they have their first baby. excuse me whats the meaning of 2htr and 3htr??? Would you show a step by step phototutorial on the flower? I have trouble on the last step. Thanks! Thank you for the tutes & pattern. Yesterday i finish a pair to make a gift to my friend, so lovelys.Please post if you know how to make the sandals more bigger to my daughter. You will post more patterns you`re clear. Thanks! Thanks for sharing your pattern! I made them for my coworker, who’s going on maternity leave tomorrow. This is an AWESOME pattern. Thanks for sharing. I am from Mexico, and this is the first step by step so good, thank you for your time, I will try to do this right now, greetings. I’d love to order two pairs of these for my nieces. I live in Chicago. Is it still possible to order them? 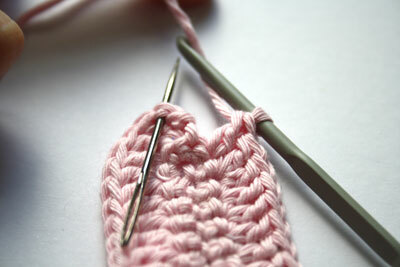 I want to learn double crochet , half double, half treble…can you please tell me the difference in all these stiches ? Thank you for the free pattern. These are beautiful and you can change the colors and make some for all of Baby’s summer wardrobe. 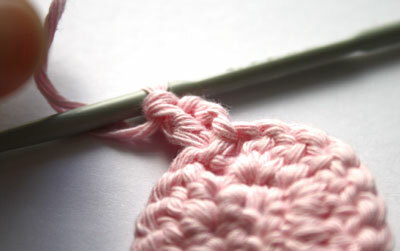 I really appreciate those fellow crocheters that take the time to share free patterns with us! So thanks again! I will send a couple of pictures of the finished products! Is there a video for this pattern? 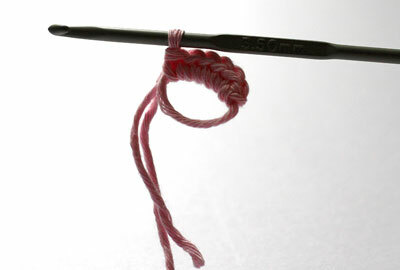 I am new to crocheting and watching by video works best for me since I don’t understand all of the language of it. If at all possible can you email me at squirrelsgirl01@yahoo.com and let me know if there is a video or not? 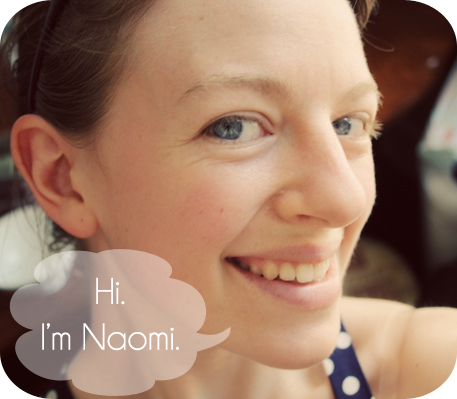 Hi Naomi. My name is Yiyi Aldrich from Puerto Rico. I love this sandals. 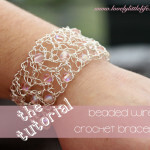 How I can download the pattern? Thanks. I’m sorry you are having trouble. 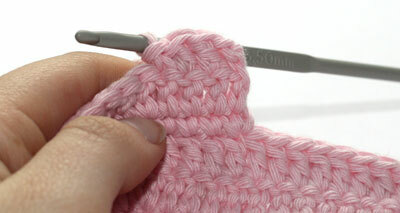 Are you keeping a close eye on your stitch counts? You should start with 14ch, 31st at the end of R1 and 43sts at the end of R2. I’m afraid I don’t know how else I can help without seeing what you are doing! But if you have any questions please do ask! 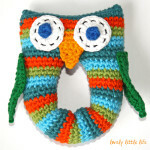 I am wanting to make these for an 11 month old. how would I make them bigger? I see they are for 0-6 month only. Hi Angi, I’m afraid I have never made these sandals up to that size, they really are just baby sandals. 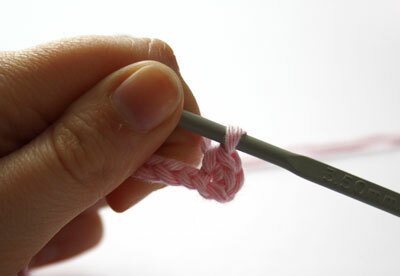 You could try just adjusting the hook size, potentially a 5mm with aran weight yarn would work. Alternatively an extra round could be worked out to increase the size but you would also need to add something to the sole for grip for little walkers, and at this time I haven’t done it myself. Thanks Naomi. I will try your recommendations!! Thanks for the tutorial and pattern.Lovely work. Just finished the sandals.Thanks so much. I love these, so cute! 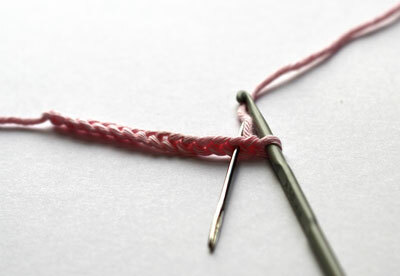 I am having slight problem , on first round you follow around to other side of chain, but the following rows you are actually turning your work and going back over the stitches you you have just completed? I have done it both ways and just dont know which is correct. Turn your work or work in rounds? Thanks for your pattern and help! 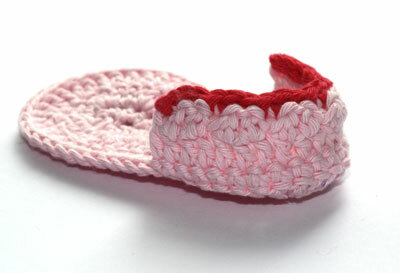 Hello Naomi, I have found so many cute things for babies on your web, I am a beginner, and decided to do these sandals. I was a challenge I have to say 😀 Anyway, my sandal for my daughter is done, one more ahead. I used yarn doubled to make them bigger, since my daughter is 10 months old and they ended up perfect. If you want to see the picture of the first one I would be happy for you to see it, cause I made it because of your time devoted to this great tutorial. Many greetings from hot Czech Republic 🙂 Have a nice summer. Nikki. Hi I counted 31 in the first and 43 in second but istill have 2 ch left before the tr on the ss. Helpppp thanks. I’ve always been a knitter until my Daughter showed me your pattern, requesting I make her some. I while creating these sandals I’ve been learning how to crochet too, so it’s been a wee bit interesting at times but when my grandchild is born she will be the proud owner of a pair of green and gold sandals (Yes I’m Australian) thanks to your excellent Tutorial. 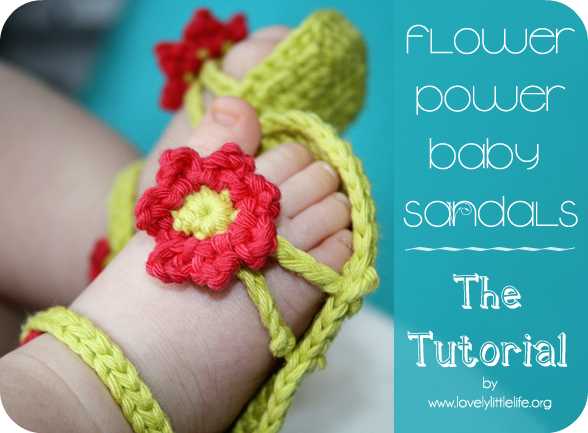 Would it be possible for you to email me the picture tutorials for the Baby Sandles so I can have it handy without being online when I make them. I really want to try these but need the tutorials and it would be easier to use if I didn’t have to be online. I truly would appreciate it! i just finished my first attempt, using a f needle. 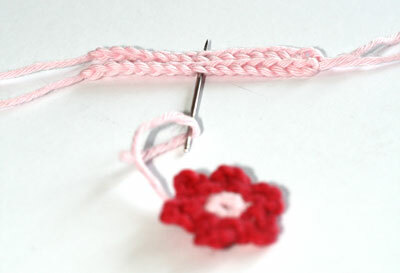 Way to long, 12.7 cm.. Would I go one or two sizes smaller on the needle? Ah well, guess by the time I figure that out I may be good enough to give as the gift intended. Hi Paula, this pattern requires a 3.5mm hook which I believe is an E hook in the US, so I would definitely try again going down one hook size. If this is still too large it could be that your tension is looser than mine which could be solved by trying to tighten your tension or by going down another hook size. Do you still make the flower power sandals to order? 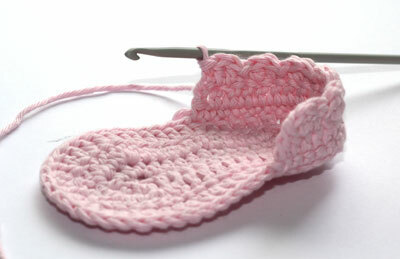 I would like to order a pair for my newborn granddaughter. How much do you charge? Thank you! It was all going good until I got to the magic circle part. What in the world is a magic circle and how do I make one? I just want to say God Bless You for Sharing Your Patterns For Free. My husband and I both are Back Patients with 2 surgeries and a rod and cage in my back. We are expecting a Grand Daughter around Dec. 18, 2015. 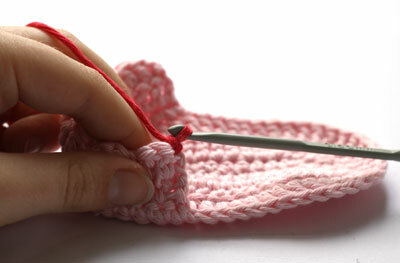 And due to our Limited Income, We appreciate what you do by Giving Your Free Patterns. God Will truly Bless You For Your Help To Others Like Me. Thank you Naomi. I have tried to make a pair of these sandals.. So beautiful.. But I’m sad when I’m trying to wear it on my baby feet, the sandals were too small.. And I have tried to increase the size basically follow your pattern and increase on any parts.. And I’m happy because it works.. Now I have a pair with approx 13cm long from toe to heel.. Thank you for this lovely pattern. 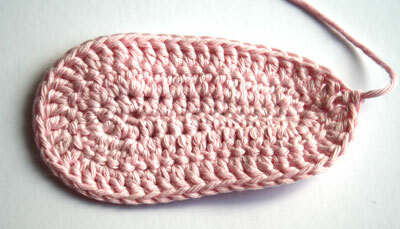 I have just completed a pale pink and white pair and the person I crocheted them for absolutely loves them. Ah wonderful! 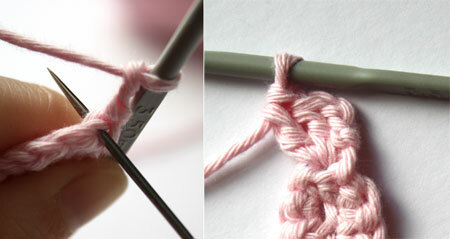 I really struggle to understand crochet patterns, but with the photos this is so clear to follow! Thank you very much! !